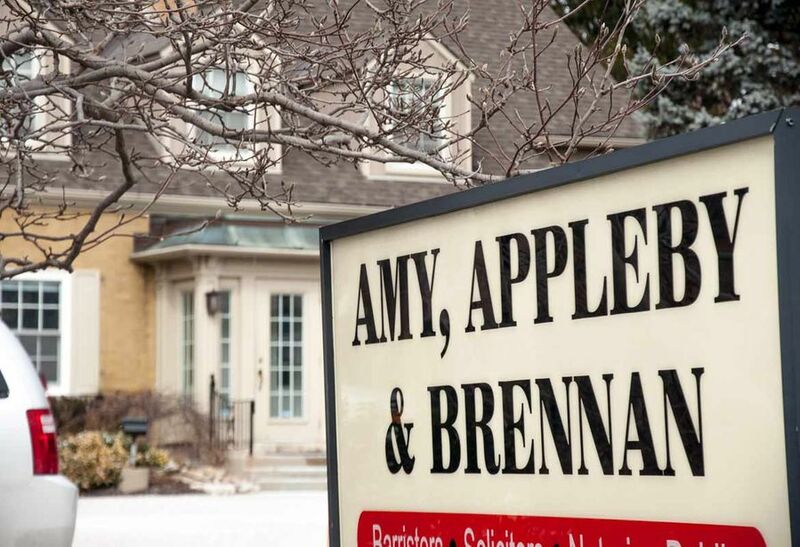 Amy, Appleby & Brennan was founded by Waterloo lawyers David Amy, William Appleby, and Peter Brennan in early 1977 at its first location in Uptown Waterloo, 55 Erb Street East. The practice moved to its present location down the road in 1989 and is currently located at 372 Erb Street West in Waterloo. Our office had humble beginnings based on the principle of “all for one, and one for all” and a mutual desire to build a reputable, well-respected law practice in the Kitchener-Waterloo region which serves clients in as many areas of law as possible. Each of the lawyers concentrates in different areas of practice, but often work together to help Amy, Appleby & Brennan’s clients achieve the best results possible given the circumstances they face. Our experienced Waterloo lawyers can provide you with appropriate legal advice to assist you in your areas of concern. We look forward to speaking with you about how Amy, Appleby & Brennan may be able to help you.